“Orthodontics is the most privileged specialty in dentistry. There is nothing like the wonderful feeling you get when you create a beautiful, healthy smile that instantly increases a patient's self-esteem and confidence. 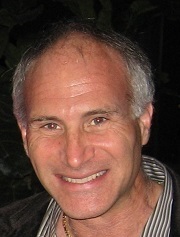 Dr. Howard Steiman graduated with honours from the University of Toronto in 1984 with an Honours Bachelor of Science degree in Neuroscience and Biochemistry. He continued his education there, earning his Doctor of Dental Surgery degree in 1988 and his diploma in Orthodontics in 1991. He wrote a clinical paper which was published in the Journal of Clinical Orthodontics in 1996, and in 2005, Dr. Steiman received the Ontario Association of Orthodontists' Distinguished Service Award. Dr. Steiman has held many positions within these organizations, most notably, President of the Ontario Association of Orthodontists (2000 - 2001), President of the Canadian Association of Orthodontists (2010 - 2011), Ontario Regional Director for the Canadian Association of Orthodontists (2005 - 2007), and the Canadian Association of Orthodontists-American Association of Orthodontists Liaison (2008 - 2011). Dr. Steiman also holds the position of Scientific Conference Chairperson for the Canadian Association of Orthodontics. Currently, Dr. Steiman serves as a part-time clinical undergraduate instructor in orthodontics at the University of Toronto, Faculty of Dentistry. He also attends scientific lectures to continually upgrade skills, techniques, and his knowledge in the field of orthodontics. Dr. Steiman is married with three children and enjoys sports such as hockey, basketball, weight training, cycling, and long-distance running. His hobbies include cars, reading, music (all kinds from rock to classical), wine tasting, and cooking; he also loves spending time with family and friends. Dr. Steiman also works within the community. He has fundraised for both Adventure Place (a local school for special needs children) and the Ontario Special Olympics.